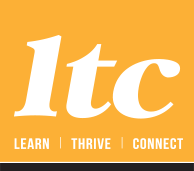 Lake Tuggeranong College Careers area is staffed by an Executive Teacher who oversees Careers Advisors, Administration staff and a Transition and Careers officer. Encourage students to participate in the Work Experience Program (WEX). Work Experience (WEX) is available to all students across the year and offers a diverse and extensive range of placements. Work Experience is an essential element of college in preparation for work opportunities beyond college. An Australian School Based Apprenticeship (ASBA) involves the employment of a young person who is undertaking a traineeship part-time while still attending college and who is enrolled in a program leading to a senior secondary certificate. This program provides students with an excellent opportunity to try an occupation that may be of interest to them. The range of industry areas that offer ASBA traineeships is extensive. If students are interested in undertaking an ASBA, contact the Vocational Education/ASBA coordinator to discuss the possibility of commencing a traineeship. Students do not need to have an employer identified as the college can assist students to find a suitable employer. Students will receive credit towards the Year 12 Certificate.